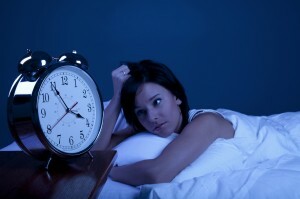 Insomnia is said to be present when you regularly find it hard to fall asleep or stay asleep. It has several patterns. You may have trouble getting to sleep initially. Or even if you can fall asleep, you might not be able to stay asleep for as long as you would like. Also you may wake up during the night and not be able to go back to sleep for a long time. Many people have two of the above problems, or even all three. Because of these, you might feel tired during the day. If your sleep habits seem to be okay but you are still having problems then you may need more specialist help. Cognitive-behavioural therapy for insomnia has been shown to be more effective in the medium and long term than sleeping tablets. Stress, depression and anxiety are best treated by specialists, but taking steps to improve your sleep can also help with these. Sometimes sleep specialists will suggest a sleep study to be sure they understand what may be causing the poor sleep and also check for sleep apnoea. If you only take them occasionally, sleeping pills can get you a good night’s sleep. However if you take them often, you will get used to them and they will stop working as effectively. Also they can be habit-forming and it can then become difficult to stop taking them. If you are having ongoing trouble sleeping, persistent problems with mood, restlessness in bed, severe snoring or waking unrefreshed, make sure that you go and see your doctor. Your GP can refer you to a psychologist and/or a sleep specialist.